Binham is a picturesque peaceful village ideal as a base for exploring the North Norfolk coast. It has a magnificent late 11th century Benedictine Priory, partly ruined by Henry VIII during the Reformation, where classical concerts are held throughout the summer.There is a well-stocked village shop, gift shop and traditional pub – The Chequers Inn dates back to the 17th Century, here you can enjoy delicious food by the cosy fireplace or sit outside during summer, the pub has a relaxed friendly atmosphere and welcomes families and dogs. At Abbey Farm Dairy there’s the opportunity to call in daily and help yourself to delicious raw milk straight from their Frieisan herd, The Georgian market town of Holt is 7 miles to the east with a wide range of shops, galleries and designer boutiques. Samphire Barn is a stylish recently renovated barn less than 10 minutes drive to the coast and Wells-next-the-Sea, originally one of the Priory cattle sheds, located overlooking the picturesque Binham Priory, Norfolks most complete and impressive monastic ruins dating back to 1091. This luxurious single-storey barn has been carefully refurbished and feels light and spacious, with the advantage of high ceilings throughout. The lovely sitting room has exposed brickwork and a wood-burning stove, and the new high spec kitchen is perfect for guests who enjoy cooking. A beautifully presented master king-size bedroom and a second twin room, make this perfect for one or two couples or a family to stay. Guests may enjoy the shared landscaped garden with outside furniture, with the advantage of a private off-road covered parking with additional guest parking also available. It's only minutes walk to the local dairy shop selling raw milk, coffee and the locally produced Mrs Temples cheese, a well-stocked village shop and a good local pub, with North Norfolk's spectacular wide open sandy beaches less than 10 minutes drive away at Wells-next-the-Sea and Holkham. The Chapel is a fabulous former Methodist Chapel dating back to 1868. 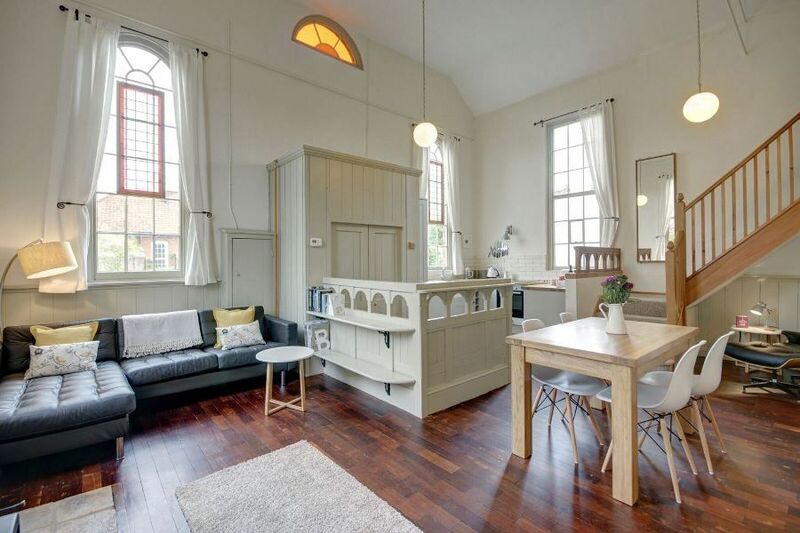 This is a unique two bedroom property which has been sympathetically converted and restored to retain dramatic high ceilings and generous windows, making the accommodation light and airy. It's ideally situated in the heart of the Binham village, within walking distance of a village shop and local pub. This is an ideal base for exploring the North Norfolk Coast, with the Georgian Market town of Holt about 7 miles away, with the stunning coast just a 10-15 minute drive to Blakeney, Wells or Stiffkey. 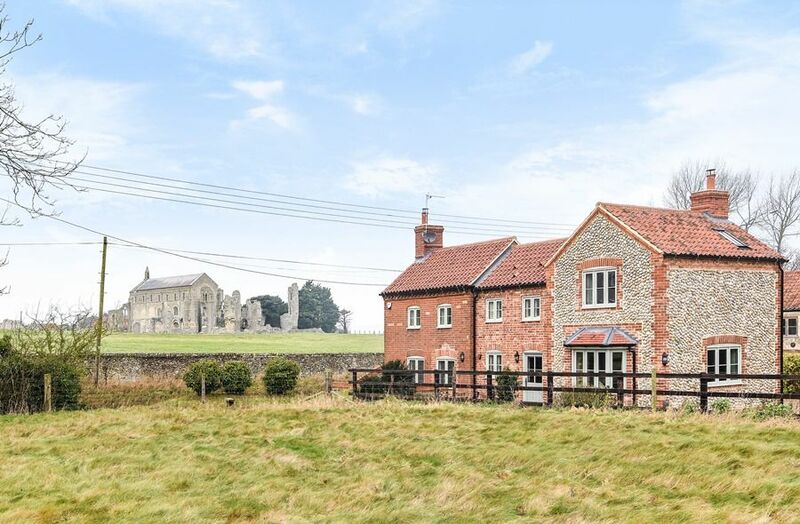 Violet's Cottage is a fabulous renovated and extended detached brick & flint cottage, idyllically located overlooking the picturesque Binham Priory, Norfolk's most complete and impressive monastic ruins dating back to 1091. 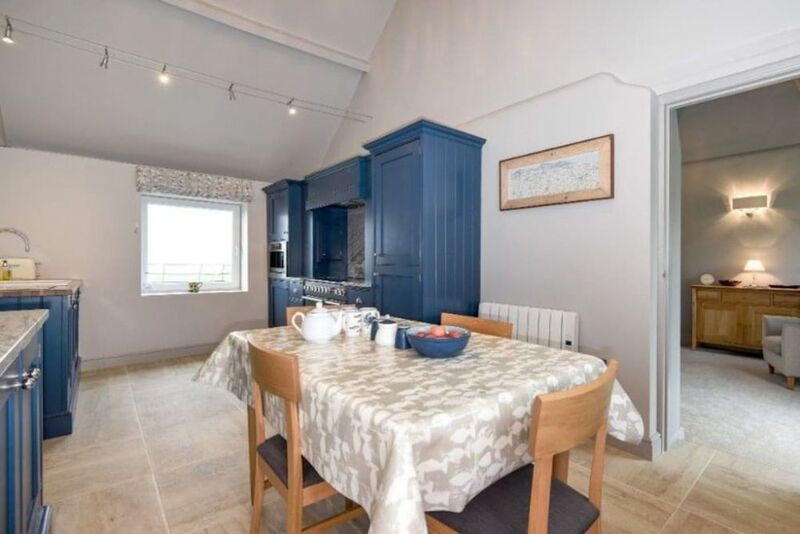 This delightful cottage has been carefully designed with great attention to detail to create a lovely spacious holiday cottage for two couples or a family. On the ground floor there's a superb sociable kitchen/breakfast room with a wood-burning stove, as well as a separate sitting room with a second wood-burning stove. Upstairs there are two equally luxurious high-ceilinged bedrooms, each with their own contemporary en-suite shower room. Guests may enjoy the privacy of a landscaped south facing patio with outside furniture and shrub beds, with lovely countryside views. There's no worry about parking either, with a private driveway and parking space for two cars. It's only minutes walk to the local village shop and a good local pub, with North Norfolk's spectacular wide open sandy beaches less than 10 minutes drive away at Wells-next-the-Sea and Holkham.